Showing recent results 2716 - 2730 of 4363 products found. SF-6932 - Finder Electronics Co., Ltd. 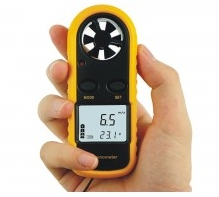 Ideal for industrial and home purposes such as measuring wind speed and temperature of CPU, computer fans, air-conditioners, air blowers, etc. Collecting multi-parameter data in the field is a breeze with Eutech’s CyberScan 650 multi-parameter series. The CyberScan PD650 delivers quick, lab-accurate measurements of pH and dissolved oxygen simultaneously. Auto-logging function records up to 500 data sets with date and time in GLP-compliant format. The Keysight N7751A combines an attenuator with 2 front-panel power meter channels, offering exceptional performance at a low price. The power meters permit measurements from any point in the measurements setup and assist in calibrating power offsets with respect to the attenuator output. The Keysight N7752A combines an attenuator with 2 front-panel power meter channels, offering exceptional performance at a low price. The power meters permit measurements from any point in the measurements setup and assist in calibrating power offsets with respect to the attenuator output. 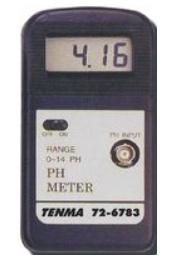 The 72-6783 is a 0 to 14pH Meter with 12.5mm LCD display. Any combination of pH electrode and male BNC connector can be used. pH meter included with battery. 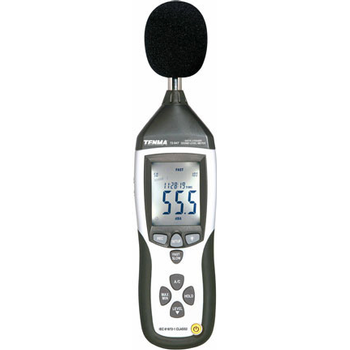 The 72-10465 from Tenma is a LCR meter in orange and grey colour. It features an easy to read dual LCD (40mm x 63mm) display measurement of 19999/1999 (main/auxiliary). It also has series and parallel measurement modes which can be used to select quality factor, loss factor, phase location angle and equivalent resistance of measure articles. Intelligent detection and five different test frequencies enable accurate readings for all sizes of capacitors and inductors. The user can also access the stored data on a PC with the included USB connection and interface software. The compact size and case make this unit far more portable than a benchtop meter. 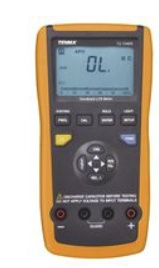 A professional digital clamp meter that is perfect for any industry. Measures AC/DC voltage, AC/DC current, Resistance, and Frequency. 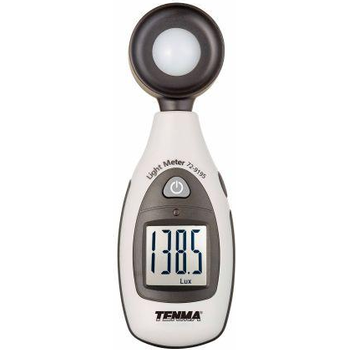 The 72-7250 CAL from Tenma is a digital light meter with RS232 capability. It has custom one-chip microprocessor LSI circuit which ensures high accuracy. The meter features 13mm (0.5”) super large LCD display with contrast adjustment for best viewing angle, data hold and auto power off. It records maximum, minimum and average readings with RECALL facility. 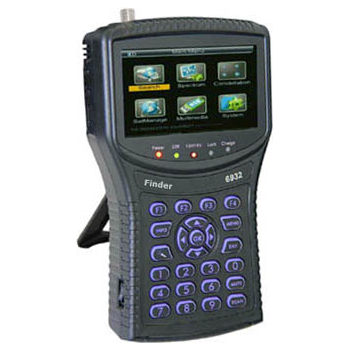 The 72-7250 has RS-232 PC serial interface, user selectable lighting type (tungsten, fluorescent, sodium or mercury, daylight) and zero adjustment by push button. The meter operates from 9V battery. 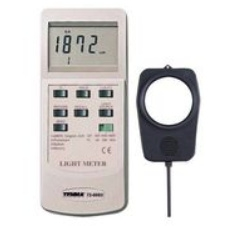 The 72-7250 CAL D from Tenma is a digital light meter with RS232 capability. It has custom one-chip microprocessor LSI circuit which ensures high accuracy. The meter features 13mm (0.5”) super large LCD display with contrast adjustment for best viewing angle, data hold and auto power off. It records maximum, minimum and average readings with RECALL facility. 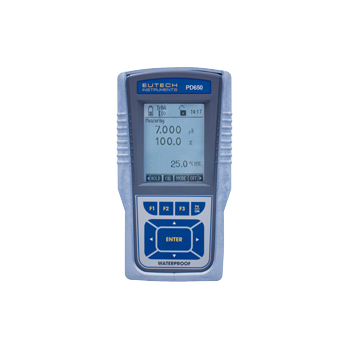 The 72-7250 has RS-232 PC serial interface, user selectable lighting type (tungsten, fluorescent, sodium or mercury, daylight) and zero adjustment by push button. 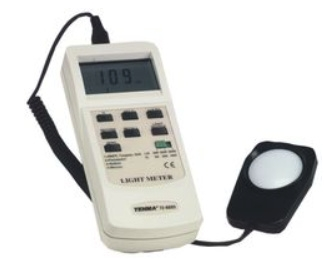 The meter operates from 9V battery. 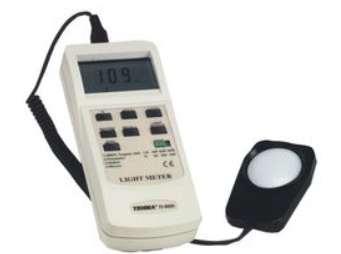 Handheld light meter provides a live reading of luminance in most environments. Convenient size easily slips in your pocket or tool kit.